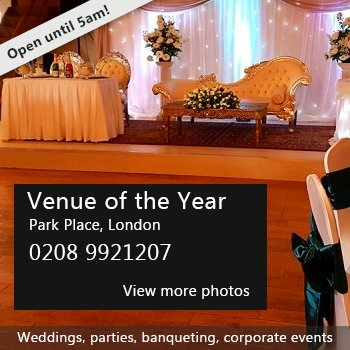 A Beautiful venue for hire!! We also offer party packages. a spin on afternoon tea with lots of vegan treats and loose tea that will look and taste amazing! Inc: event planner, exclusive venue use, linen, chair covers, silver service, unlimited pots of coffee and English tea, choice of 2x 3 pots loose tea, natural juice of your choice, sparkling/still water, finger sandwiches x3 fillings, scones w/ strawberry jam, pitta w/dip, 2x cakes of choice, fresh seasonal fruit platter, music. Inc: event planner, exclusive venue use, linen, chair covers, buffet style, unlimited pots of coffee and English tea, choice of 2 x2 pots loose leaf tea, sparkling/still water, finger sandwiches x3 fillings, scones w/jam, 2x cake of choice, music. Availability: Available to hire Weekdays Monday's 10am to 11pm Tuesdays - Friday's 5pm to 11pm Weekends 10am to 11pm We can be flexible just ask!!! There have been 0 reviews of Tease. If you would like to send Tease a booking enquiry, please fill in the form below and click 'send'. Perhaps some of the following halls within 5 miles of Tease would also be of interest?